The medical-device industry has a new voice in Washington. 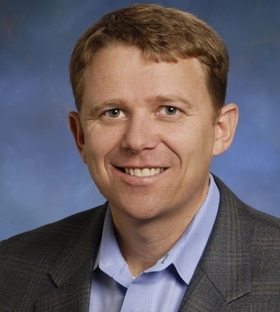 The Advanced Medical Technology Association, or AdvaMed, announced Friday that Scott Whitaker will serve as its next president and CEO, effective April 4. Whitaker most recently served as COO of the Biotechnology Innovation Organization, which represents biotechnology companies, including biopharmaceutical companies and vaccine makers. Like his predecessor, Whitaker will need to address emerging risk-based payment models that could change providers' behavior when it comes to taking chances with new technologies. He's also faced with a Congress that has struggled to pass bills regarding medical-device regulation. Steven Ubl announced in September that he would leave AdvaMed's top post to serve as CEO of the Pharmaceutical Research and Manufacturers of America, which represents drugmakers. He replaced John Castellani, who retired at the end of 2015. "Medical technology companies are at the forefront of developing solutions that improve patient outcomes and enable the delivery of high-quality, cost-effective care. However, continued progress in these areas depends on ensuring a strong innovation ecosystem. Scott has a proven track record as an association leader, and we believe he has the vision to set the course for AdvaMed's future,” said AdvaMed board chairman Vincent Forlenza, chairman, CEO and president of devicemaker Becton, Dickinson and Co.
Whittaker has also served as president of the annual BIO International Convention, the industry's largest gathering. Before joining BIO, he served in several roles at HHS, including as chief of staff and assistant secretary for legislation. AdvaMed has pushed for passage of the House-passed 21st Century Cures Act to spur innovation in drugs and devices, but it was announced in January that the Senate would take up portions of the bill because they can't find ways to pay for it. Devicemakers hoped the bill would bring more efficiency and transparency to the U.S. Food and Drug Administration's process for approving devices. “Over the course of the past 10 years or so, the FDA has been doing better and better in the work that they have done,” Whitaker said. “I don't think it's exactly where it needs to be, it's an ongoing process, many of those issues from a device perspective will be taken up” in discussions around medical device user fees. Despite that legislative roadblock, devicemakers did count a win when they gained a two-year suspension of the federal medical-device tax in the omnibus budget agreement passed at the end of 2015. “While that's a great first step, I think we need to continue to work on that to get the tax repealed,” Whitaker said.